Are you wondering what the best gym equipment brands in the world are? There are so many companies creating fitness equipment nowadays that keeping track of the best ones can be tough. However, I’ve compiled a list of the top seven brands in the world. Knowing what the best brands are can be helpful in choosing your fitness equipment. Regardless of whether it’s for weights or cardio machines. By the end, you’ll have a clearer picture of what sets the best brands apart from the rest. As a result, you’ll be able to identify the kinds of qualities to look out for when purchasing any fitness equipment. Hammer strength is a renowned fitness brand that are known for creating extremely high-quality weight machines. To be more specific, this brand focuses heavily on making plate loaded weight machines. That’s one of the reasons why their equipment is appreciated by weightlifters around the world. It’s all tailored towards building muscle and strength. 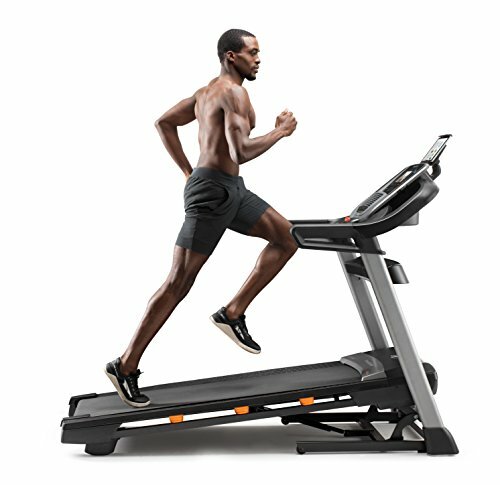 They are unique to other fitness brands who have been putting out a wide range of fitness equipment. Instead, Hammer Strength has zeroed in on a niche and excelled. Their equipment is durable and incredibly heavy-duty. Users like how the range of motion with Hammer Strength equipment feels more natural than many other machines. As a result, you’re able to stimulate your muscles for better growth. Their plate loaded weight machine range includes an impressive 40 options. Therefore, they can accommodate extremely well to people of all fitness goals. Life Fitness began back in 1997. Since then, they have established themselves as being a fitness brand that people all over the world are familiar with. The kinds of equipment they manufacture is vast. It includes anything from weighted cable machines and racks, to all kinds of cardio machines. Customers are particularly impressed with the Ultimate Life Fitness T3 Treadmill. 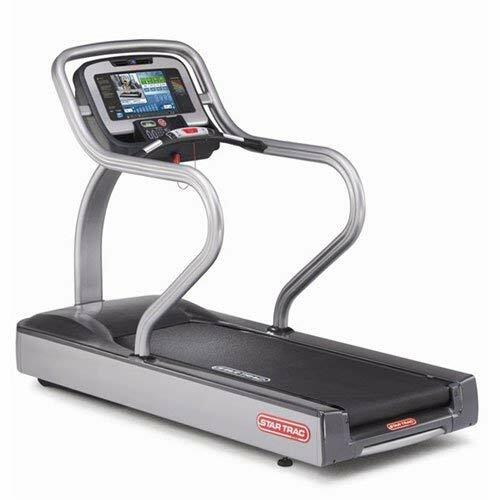 It’s considered to be an entry level treadmill that’s equipped with a lot of great features. For one, the deck is cushioned, meaning less impact on your joints. (Excellent for elderly people or those with injuries). The dual console makes tracking your progress a breeze. You can easily see your workout stats to ensure that you know which areas need improving. It’s also energy efficient and comes with a fantastic warranty. To learn more about this treadmill, check out our Ultimate Life Fitness T3 Treadmill review. 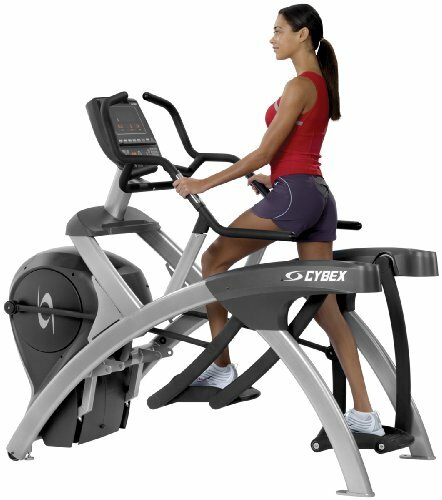 Similarly, to Life Fitness, Cybex has established themselves as one of the best gym equipment brands in the world. They have an enormous range of different fitness products available. Regardless of whether you’re looking to lift weights and get stronger or lose weight and get fitter – they have it all. Weight resisted machines, frames, racks, and cardio equipment are all readily available. While they do create some great weighted equipment, they are mostly recognized for the cardio products. For example, their Arc Trainer range is a favorite among customers. Not to mention, they also manufacture treadmills, rowing machines, and bikes. One of the biggest draws to Cybex’s Arc Trainer is that anyone can use it. This is because it provides you with a low impact form of exercise which is easy going on the joints. There are also many workout options available (13 in total!). These are awesome at helping you reach your goals of improving your cardiovascular health, losing weight, and improving your speed. Learn more details about the Arc Trainer in our review here. Their 750T Treadmill is another big hit among users. It’s a piece of cardio equipment that’s easy to use and comes with a cushioned deck. This makes it accessible to more people. With a large display and control buttons, you’re able to set your workout programs and track your progress with ease. There are nine pre-programmed programs which help you reach your fitness goals, no matter what they are. Check out all the details surrounding the Cybex 750T Treadmill here. Precor was founded by David Cruz in 1980 in Woodinville. He was an industrial engineer who has ended up being the creator behind one of the best gym equipment brands in the world. One of the main factors that has made Precor one of the best in the business is the engineering. This is no surprise considering the founder was an industrial engineer! Their equipment ranges from stretching trainers, weight machines, and spin bikes. They’ve approached their weighted items a little differently to most commercial brands. They incorporated weighted plates. Using plate-loaded machines is something that many gym users prefer over stacks. The Precor Shift is a spin bike that has become a favorite among customers due to its solid construction, comfort, and adjustable features. Users like how they’re able to workout intensely without worrying about the bike tipping over. A unique A factor design means that the placement of the pedals feels very comfortable. This is a benefit that you’ll appreciate more during longer workouts. Being able to adjust the seat post height and distance between you and handles is a simple yet effective feature. Finding the perfect position is crucial for working out comfortably and consistently. I know I dread workouts on a bike that doesn’t feel comfortable! 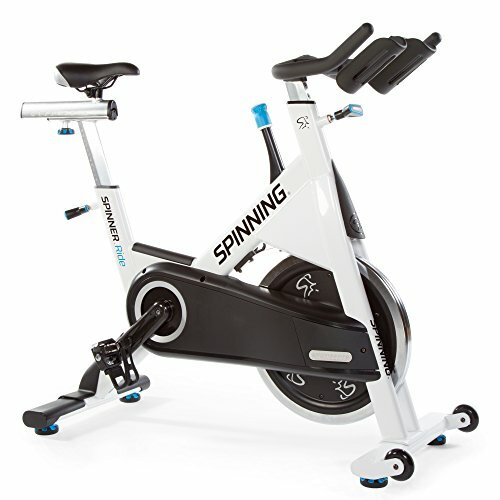 Learn more about the range of spin bikes that Precor have to offer in our review (click here). Star Trac is reputable fitness equipment brand that has been in the industry for more than two decades. They are mostly known for manufacturing treadmills and exercise bikes. Star Trac are now a well-known brand with their main products being treadmills and exercise bikes. Their E-TRxe Treadmill is built with a strong aluminium construction for durability. It’s also powered by 5HP that runs off an electrical power outlet which provides you with plenty of power to workout with. Users have been impressed with the large 15” HD display monitor too. It’s touchscreen and enables you to clearly keep track of your workout progress. The Star Trac recumbent bike range are a great option that suits many people. I was impressed by its maximum weight capacity of over 350 lbs! Moreover, if you’re a little taller or shorter, you can easily adjust the bike to feel comfortable. With good-sized monitors, you’re also given the chance to see how well your progressing with each workout. No to mention, the wide range of workout programs available provide you with plenty of options. You can be sure to find one that suit your needs best. StairMaster has been in the fitness industry since 1983. Since then, they’ve progressed rapidly to where they are today. 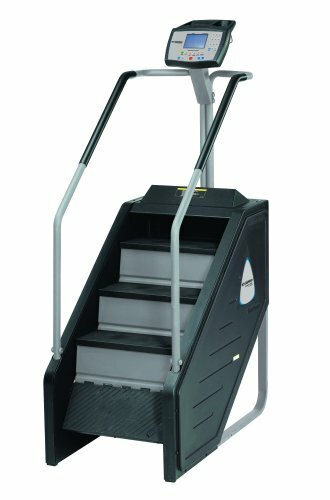 The StairMaster 5000 was their first product and it took the industry by surprise. It enabled users to workout with more intensity while doing steady state cardio than any other piece of equipment that was available. There have been multiple versions of the StairMaster over the years as they’ve adapted and improved on different areas. Their StairMaster has you on a continual loop of walking up steps. You can alter the pace to make it more intense or keep it moderate. Either way, it’s an awesome piece of equipment that I love using for cardio. This brand is known for creating equipment that provides you with a real challenge. The more challenging your workouts are, the better the results will be. That’s one of the big reasons why so many people gravitate towards StairMaster. The StairMaster 7000 PT model is a popular choice. It includes a total of six workout programs and 20 levels of resistance. This provides you with plenty of workout options, regardless of your experience with fitness. Their revolving staircase uses a patented design with steps that are 8” in height. These make it feel as though you’re walking up a real set of stairs. Users also appreciate how the display is LCD and backlit, making it easy to read. NordicTrack has been around for over 30 years. Initially, they were known for their ski machines, however, they’ve established an entirely new reputation for themselves today. They manufacture a range of fitness equipment which home users, in particular, have been appreciating. This brand is known for creating indoor bikes, treadmills, and ellipticals. So, if you’re looking for ways to do cardio, NordicTrack is a good source. 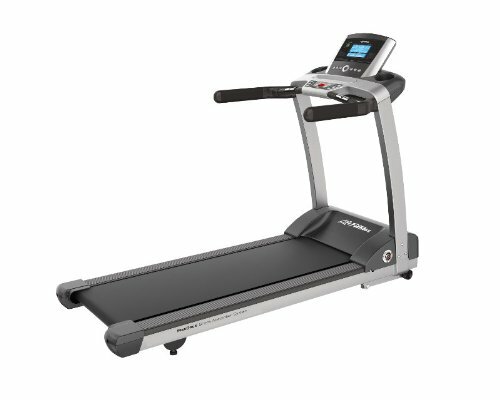 For example, the NordicTrack C990 offers you many fantastic workout features at a decent price. It included a total of 32 apps which you can use via the large touch screen display. Users have been liking the FlexSelect cushioning as it allows you to exercise without causing damage to your knees. Moreover, you’re able to save on space with the folding design feature. Read our review on the NordicTrack C990 here to learn all the details. Now that you know more about the best gym equipment brands in the world, you’ll be able to identify them when shopping around. Of course, there are other brands that produce high-quality equipment too. So, it’s always worth doing some digging around to find the piece of equipment that suits your needs best. However, the brands discussed above have established themselves with the highest quality products and the most consistency over the years. In other words, they are extremely reliable. If you’re ever feeling stuck on which brands to choose from, use this content above as a way of guiding you to the best equipment available on the market.